↑ It includes 449 languages and dialects, according to the 2005 Ethnologue estimate, about half (219) belonging to the Indo-Aryan subbranch. ↑ "Ethnologue list of language families". Ethnologue.com. http://www.ethnologue.com/ethno_docs/distribution.asp?by=family। আহৰণ কৰা হৈছে: 2010-08-07. ↑ "Ethnologue list of languages by number of speakers". Ethnologue.com. http://www.ethnologue.com/ethno_docs/distribution.asp?by=size। আহৰণ কৰা হৈছে: 2010-08-07. Anthony, David W. (2007). The Horse, the Wheel, and Language: How Bronze-Age Riders from the Eurasian Steppes Shaped the Modern World. Princeton University Press. ISBN 0-691-05887-3. http://books.google.com/books?id=rOG5VcYxhiEC&dq. Auroux, Sylvain (2000). History of the Language Sciences. প্ৰকাশক Berlin: Walter de Gruyter. ISBN 3-11-016735-2 . Fortson, Benjamin W. (2004). Indo-European Language and Culture: An Introduction. প্ৰকাশক Malden, Massachusetts: Blackwell. ISBN 1-4051-0315-9. Houwink ten Cate, H. J.; Melchert, H. Craig & van den Hout, Theo P. J. (1981). "Indo-European languages, The parent language, Laryngeal theory". Encyclopædia Britannica. 22 (15th সম্পাদনা). প্ৰকাশক Chicago: Helen Hemingway Benton . Holm, Hans J. (2008). "The Distribution of Data in Word Lists and its Impact on the Subgrouping of Languages". In Preisach, Christine; Burkhardt, Hans; Schmidt-Thieme, Lars et al.. Data Analysis, Machine Learning, and Applications. Proceedings of the 31st Annual Conference of the German Classification Society (GfKl), University of Freiburg, March 7–9, 2007. প্ৰকাশক Heidelberg-Berlin: Springer-Verlag. ISBN 978-3-540-78239-1 . Kortlandt, Frederik (1990). "The Spread of the Indo-Europeans". Journal of Indo-European Studies খণ্ড 18 (1–2): 131–140 . Lubotsky, A. (1988). "The Old Phrygian Areyastis-inscription". Kadmos খণ্ড 27: 9–26 . Kortlandt, Frederik (1988). "The Thraco-Armenian consonant shift". Linguistique Balkanique খণ্ড 31: 71–74 . Lane, George S.; Adams, Douglas Q. (1981). "The Tocharian problem". Encyclopædia Britannica. 22 (15th সম্পাদনা). প্ৰকাশক Chicago: Helen Hemingway Benton . Renfrew, C. (2001). "The Anatolian origins of Proto-Indo-European and the autochthony of the Hittites". In Drews, R.. Greater Anatolia and the Indo-Hittite language family. প্ৰকাশক Washington, DC: Institute for the Study of Man. ISBN 0-941694-77-1 . Beekes, Robert S. P. (1995). Comparative Indo-European Linguistics. প্ৰকাশক Amsterdam: John Benjamins. Chakrabarti, Byomkes (1994). A comparative study of Santali and Bengali. প্ৰকাশক Calcutta: K.P. Bagchi & Co.. ISBN 81-7074-128-9. Collinge, N. E. (1985). The Laws of Indo-European. প্ৰকাশক Amsterdam: John Benjamins. Mallory, J.P. (1989). In Search of the Indo-Europeans. প্ৰকাশক London: Thames and Hudson. ISBN 0-500-27616-1. Renfrew, Colin (1987). Archaeology & Language. The Puzzle of the Indo-European Origins. প্ৰকাশক London: Jonathan Cape. ISBN 0-224-02495-7. Meillet, Antoine. Esquisse d’une grammaire comparée de l’arménien classique, 1903. Strazny, Philip (Ed). (2000). Dictionary of Historical and Comparative Linguistics (1 সম্পাদনা). Routledge. ISBN 978-1-57958-218-0. Szemerényi, Oswald (1957). "The problem of Balto-Slav unity". Kratylos খণ্ড 2: 97–123. Watkins, Calvert (2000). The American Heritage Dictionary of Indo-European Roots. Houghton Mifflin. ISBN 0-618-08250-6. Dyen, Isidore; Kruskal, Joseph; Black, Paul (1997). "Comparative Indo-European". wordgumbo. http://www.wordgumbo.com/ie/cmp/। আহৰণ কৰা হৈছে: 13 December 2009. "Indo-European". 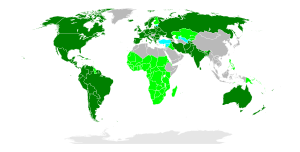 LLOW Languages of the World. http://languageserver.uni-graz.at/ls/group?id=4। আহৰণ কৰা হৈছে: 14 December 2009. "Indo-European Documentation Center". Linguistics Research Center, University of Texas at Austin. 2009. http://www.utexas.edu/cola/centers/lrc/iedocctr/ie.html। আহৰণ কৰা হৈছে: 14 December 2009. Lewis, M. Paul, ed (2009). "Language Family Trees: Indo-European". Ethnologue: Languages of the World, Online version (Sixteenth সম্পাদনা). প্ৰকাশক Dallas, Tex. : SIL International. http://www.ethnologue.com/show_family.asp?subid=2-16 . "The Linguist List Multitree Portal for Indo-European". Eastern Michigan University. 1989–2007. http://multitree.org/codes/ieur। আহৰণ কৰা হৈছে: 14 December 2009. "Thesaurus Indogermanischer Text- und Sprachmaterialien: TITUS" (German ভাষাত). TITUS, University of Frankfurt. 2003. http://titus.uni-frankfurt.de/indexe.htm। আহৰণ কৰা হৈছে: 13 December 2009. "Indo-European Etymological Dictionary (IEED)". প্ৰকাশক Leiden, Netherlands: Department of Comparative Indo-European Linguistics, Leiden University. http://www.indoeuropean.nl। আহৰণ কৰা হৈছে: 14 December 2009. "Indo-European Roots Index". The American Heritage Dictionary of the English Language (Fourth সম্পাদনা). Internet Archive: Wayback Machine. August 22, 2008 . http://web.archive.org/web/20080726143746/www.bartleby.com/61/IEroots.html। আহৰণ কৰা হৈছে: 9 December 2009. Köbler, Gerhard (2000). "Indogermanisches Wörterbuch" (German ভাষাত). Gerhard Köbler. http://www.koeblergerhard.de/idgwbhin.html। আহৰণ কৰা হৈছে: 14 December 2009. Schalin, Johan (2009). "Lexicon of Early Indo-European Loanwords Preserved in Finnish". Johan Schalin. http://www.iki.fi/jschalin/?cat=10। আহৰণ কৰা হৈছে: 9 December 2009.